Addressed in green ink on yellowish parchment with a purple seal, they are swiftly confiscated by his grisly aunt and uncle. 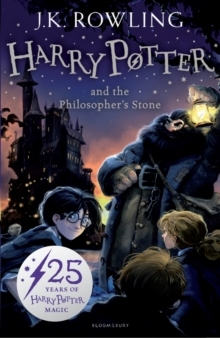 Then, on Harry's eleventh birthday, a great beetle-eyed giant of a man called Rubeus Hagrid bursts in with some astonishing news: Harry Potter is a wizard, and he has a place at Hogwarts School of Witchcraft and Wizardry. An incredible adventure is about to begin!These new editions of the classic and internationally bestselling, multi-award-winning series feature instantly pick-up-able new jackets by Jonny Duddle, with huge child appeal, to bring Harry Potter to the next generation of readers.